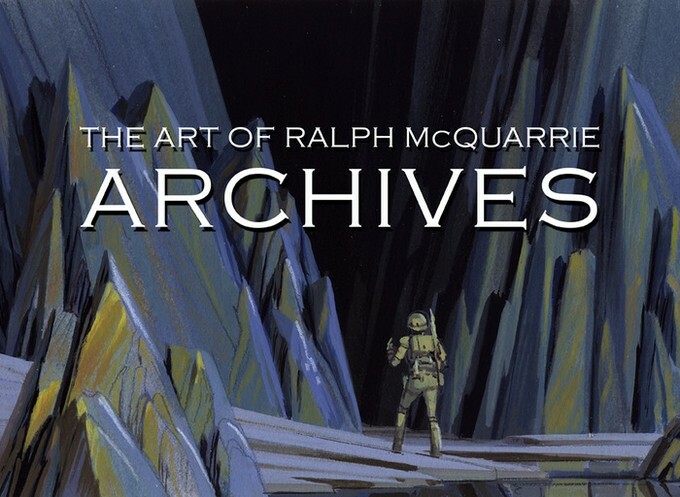 Help Kickstart The Mammoth ART OF RALPH McQUARRIE ARCHIVES Book!! 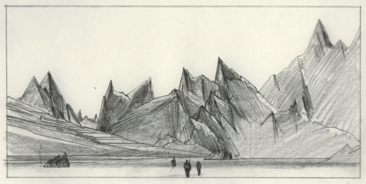 Help Kickstart The Mammoth ART OF RALPH McQUARRIE ARCHIVES Book!! + See McQuarrie Concept Art For Irvin Kershner’s FORBIDDEN PLANET Remake!! He’s a concept artist probably most notable for his early design studies of the original STAR WARS trilogy, the original BATTLESTAR GALACTICA television series, an abortive motion picture called STAR TREK: PLANET OF THE TITANS, CLOSE ENCOUNTERS - the list goes on. He also illustrated for CBS News (Apollo program material) and was a technical illustrator at Boeing. He accomplishments are truly vast and varied - a prodigious and ingenious talent, to say the very least. And, his work still resonates to this day. “examples of Ralph's work in each of the following areas: Early technical illustration, movie posters, book covers, film and television production, other commercial illustration and a selection of personal pieces. In many cases we have examples of work that demonstrate Ralph's process, from his tiniest thumbnails to larger sketches, color comps and ultimately his finished paintings..
And they need our help to get the substantial enterprise up and running through a Kickstarter. More about the Kickstarter HERE, where you can also find samples of the art which would be featured in the book. To further illustrate (excuse the pun) what fans would see in this publication, the exceptionally awesome folks over at Dreams & Visions Press sent over this sampling of some FORBIDDEN PLANET remake artwork - which McQuarrie generated for director Irvin Kershner back in the mid 1990s. That project never got off the ground - but it seems a bit of design work was done for it. Given that FORBIDDEN PLANET is one of my most cherished films of all time, I’d be hard pressed to champion any ‘remake’ of the movie per se. But, a film designed by Ralph McQuarrie and directed by the guy who brought us THE EMPIRE STRIKES BACK? That would be difficult to ignore, and it would be pretty hard not to get excited about such a prospect. So here’s a taste of the McQuarrie concept art for the abortive FORBIDDEN PLANET remake...which you’ll see in the book. I’ve been asked this in the past, and I’ll answer it again once more: my primary criteria for referencing a Kickstarter on our site is whether I believe in the cause…whether I think it’s important from some tangible perspective (historically, culturally, in terms of raw fan support, etc.) As such, I’ve no compunction saying this book needs to happen. McQuarrie is a potent and indisputable force in shaping our Geek imaginations, and sometimes even our broader perception (through his space program art and whatnot). The thought of encapsulating his contributions to our reality in a 432 page book is rather damn exciting (note that his STAR WARS work will not be represented in the new project). It would be lovely…and somehow appropriate…if people like us…the people McQuarrie had a hand in shaping…could help make Dreams and Visions’ celebration of the man more than just, well, a dream or vision.